Cash Flow, Cycles, and Transport as three key drivers of future improvements in valuation. These Videos are based on Property prices moves in the United Kingdom. 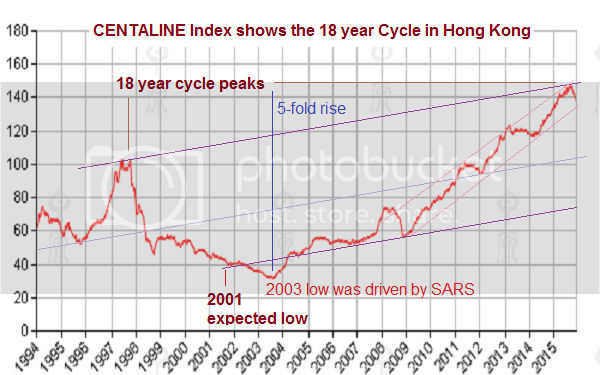 But cycles of the same length have also shown up in the U.S., Hong Kong, and other real estate Markets. 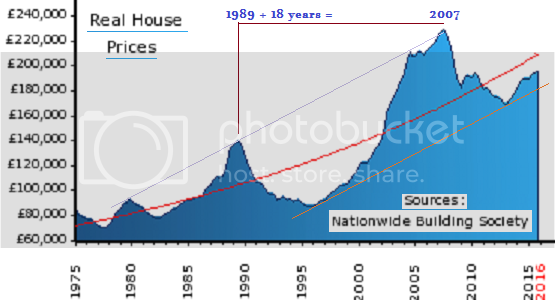 Is there a property crash every 18 years? Harrison describes a cycle of 18 years. "we are experiencing a huge demand from the middle age group" (investing for retirement). For real estate investors, the appeal of Makati’s Central Business District needs no explanation. “It's the address if you want to establish yourself,” says Jan Custodio, Head of CBRE Philippines' Global Research & Consultancy Group. "Makati has been and will always be the central business district. 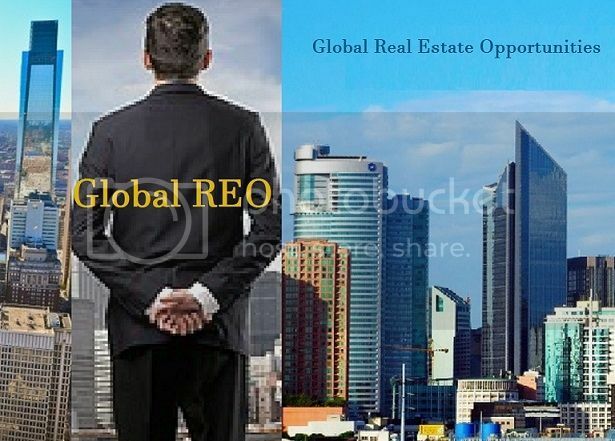 It is the preferred headquarters of most multinational corporations and prestigious local companies." As a neighborhood, Custodio adds, "it is the address that has all your needs right in front of your doorstep. Suffice to say, it’s one of the most coveted addresses in the country." After the 2nd World War, the runways of what was then the Nielson International Airport became Ayala Avenue and Paseo De Roxas. Around these strips, foreign and local investors started planting their roots, eventually transforming Makati into the vibrant, booming city that we know today." There are many reasons to invest in a Makati space now. Most consider business opportunities, office space and access to basic services, like medical care. But what about those who would like to consider Makati for residential purposes, especially with the upscale, vertical residences available? What should you expect? But listening to Mr. Ian Fulgar gave us a tiny flicker of hope that maybe, just maybe we're wrong.
. We all gather every Saturday to discuss and exchange ideas. If you want to make better use of your free time, perhaps you can sip a cup of coffee with us and enrich your knowledge of real estate. Many an architect these days just build structures for the sake of building one but listening to Mr. Ian Fulgar gave us a tiny flicker of hope that maybe, just maybe we're wrong. Dressed in a simple baby blue polo, the architect exuded an air of cheerfulness while he gradually fleshed out the ongoing disconnect between the architectural field and the real aspirations of investors. I don't know much about being an architect but what he shared immensely resonated with my idea of how architects should treat real estate properties. He capitalized on how being a member of REIN helped him get diverse viewpoints that can help him refine the way he builds structures and help his clients have more satisfying homes. just be that other building managers are now more strictly enforcing rules and therefore banning their building if short term rentals violate the rules of the building. Later on in the video, you hear that Peter's love affair with Manila is over and he is now actively looking into Thailand, Japan and CAMBODIA. Peter is a bit of a whiner, who sometimes misrepresents things. He should have seen the AirBNB restrictions coming. Top developers like Ayala were long reluctant to allow AirBNB. The restrictions spread as more problems with short ter AirBNB tenants became evident. A good video from our (new) friend in Canada who likes making videos - more here, near bottom of page. Toronto prices peaked at C$920,000 in Spring 2017. Can a 50% Drop happen Manila, Philippines? "Anything can happen" is a pretty good mantra for markets anywhere. I do not expect that to happen for Manila as a whole. But there are some areas where it might happen. For example, if a 1 BR unit in the Manila Bay, which SMDC sells Today for P7.4 million (or P280k psm), could go back to the P3.7 million level where it was just 2-3 years ago.